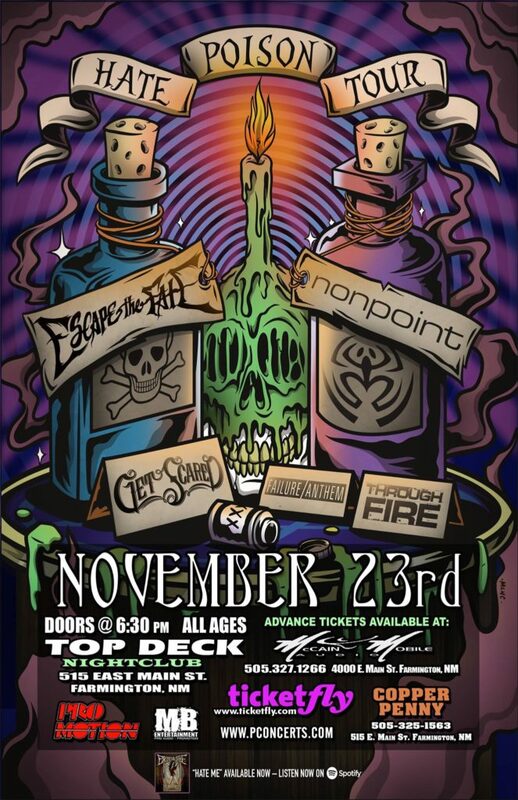 Tomorrow morning Diane and I are heading down to our first concert at Top Deck in Farmington, New Mexico to see Nonpoint, Escape the Fate, Get Scared, Through Fire and Failure Anthem. Then we are going to be spending the rest of the long Thanksgiving weekend in the area hiking and exploring. I hope you all have a great holiday!